The town of Sandanski is located at an altitude of 224 m in the foothills of the Pirin Mountains, along Sandanska Bistritsa river, 160 km from Sofia. The resort is situated between Sofia and Thessaloniki, near the border with Greece and Macedonia.The resort climate is indeed UNIQUE. Throughout the year, local temperatures are higher then inland temperatures - the annual average being 14.7 °C. Winters are mild and short, autumns long and warm. Relative humidity is low (66%), there are over 2436 hours of sunshine a year and fogs are rare. The mineral waters are clear, colourless, odorless and pleasant tasting, silicic, mildly fluorine, hyperthermal (42-81°C), slightly mineralized, hydrocarbonic-sulphatesodium. 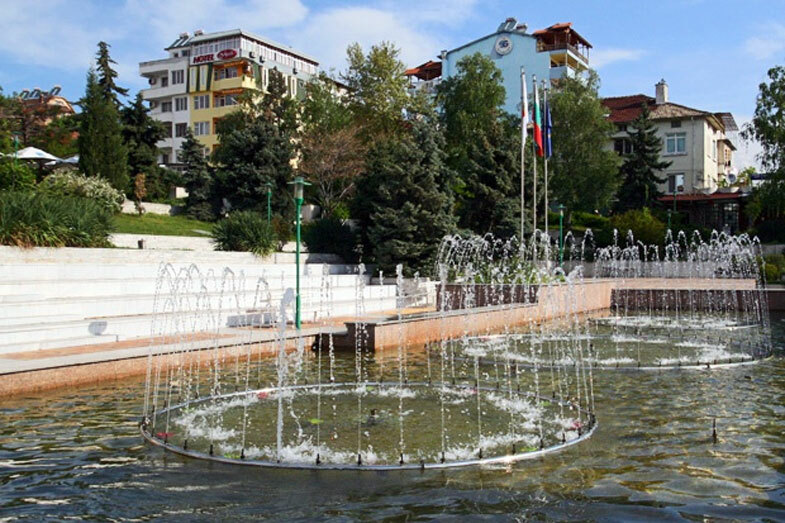 Sandanski is a popular place for the treatment of respiratory diseases, infectious allergic and disturbances of the locomotory system. Resort conditions are particularly conducive to the treatment of bronchial asthma in its three forms atopic, infectious allergic and combined. Already during the first week a marked clinical improvement is observed, with fewer attacks both with regard to frequency, strength and duration, and in more than 55% of the cases they disappear completely. We offer the best choices of the hotels for you SPA vacation in Bulgarian Sandanski SPA Resort - plenty of useful information, photos, places of interest, Special SPA Packages.